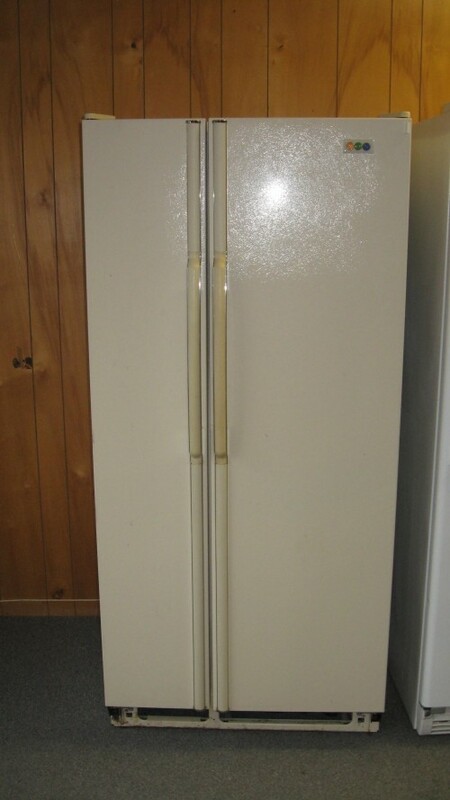 Maytag side by side fridge. 20.3 cubic feet. Almond color. REUSEABLES is located at 1013 US Hwy 2 East next to WBC and we are open Thu, Fri, & Sat from 11am until 5pm. â€¨â€¨Or call (406) 249-3174 for more info or to make an appointment to visit REUSEABLES to inspect any of these appliances.